We had a great July. We took a trip to Nashville. We went to the Hot Chicken Festival, took a road trip to Maker's Mark Distillery and ate at some delicious restaurants. We also took a weekend trip to Atlanta. I'll be telling you all about it next Saturday. August is going to be crazy busy for me. We are taking a vacation to Vegas. Chicken Legs has been waiting all year for this trip! I am excited too. I love Vegas (even though I don't gamble). The food and the shopping! Oh, the shopping! I'm also going to get my hair done at a celebrity stylist's salon. I'd rather get something for my money rather than gamble it away! The morning after I get back from Vegas, I'm going on an amazing adventure with my friend, Amanda (kevinandamanda.com). 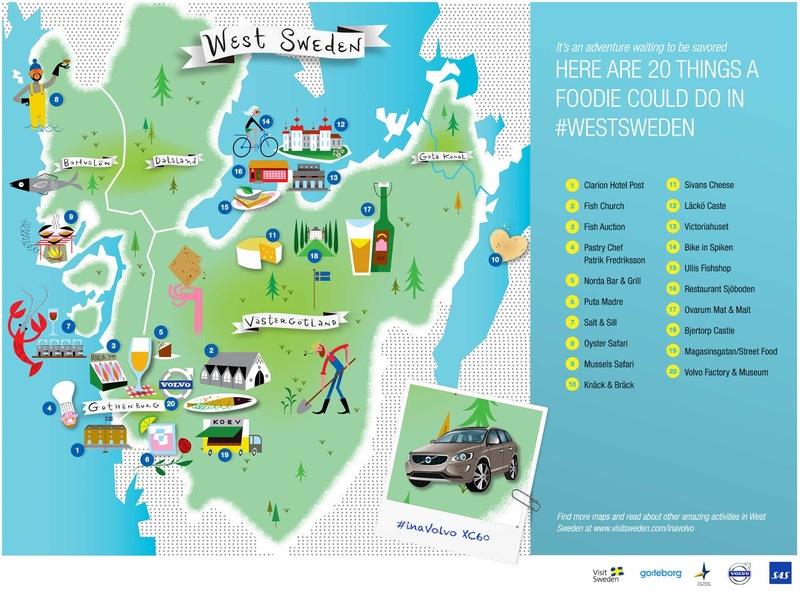 We are going on a foodie tour around Sweden! We will be driving all around the country in a brand new Volvo! Visit Sweden is having a sweepstakes where you can win a trip for 2 to Sweden! Chubbs was listed as one of the best burgers in Birmingham according to al.com. I decided that I had to check it out for myself. 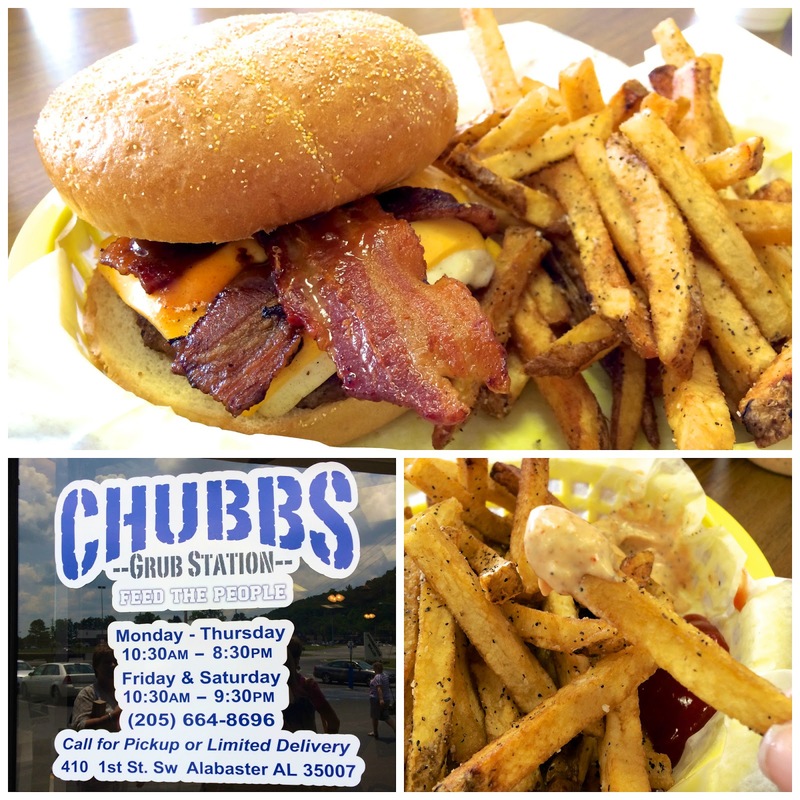 Chubbs is located in Alabaster. I got the Chubba Burger - cheese, bacon, BBQ sauce. I also got a side of fries. OMG - SO good. I had to make myself stop eating everything! The burger was really, really good. And the fries? SO good. They reminded me of Five Guys. They bring out a Cajun Horseradish Sauce to go with the fries. Crazy good! I can not wait to go back! 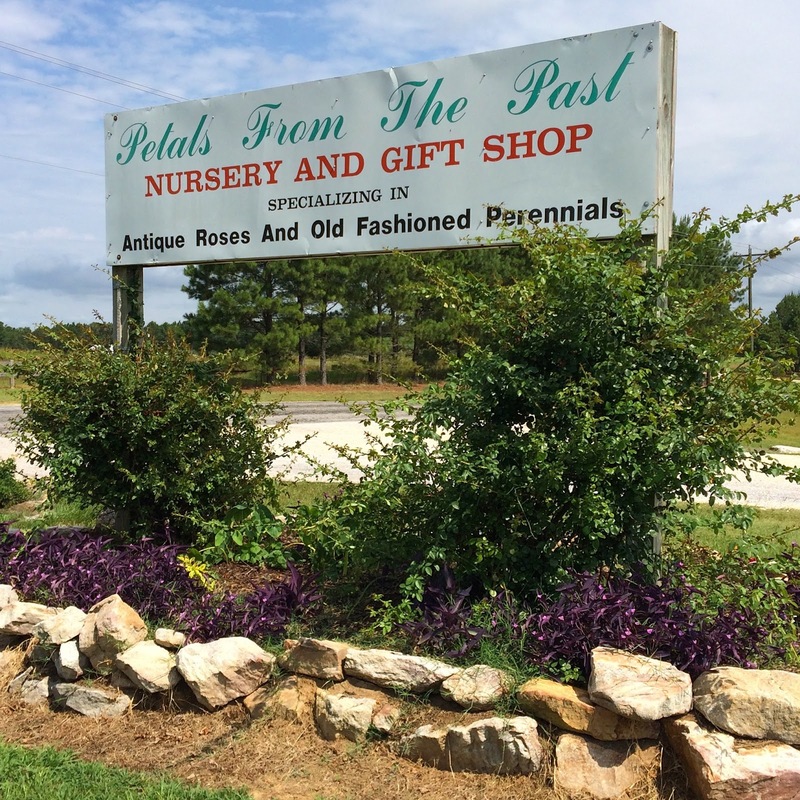 Petals from the Past is an amazing nursery that offers heirloom plants. The plants are beautiful! 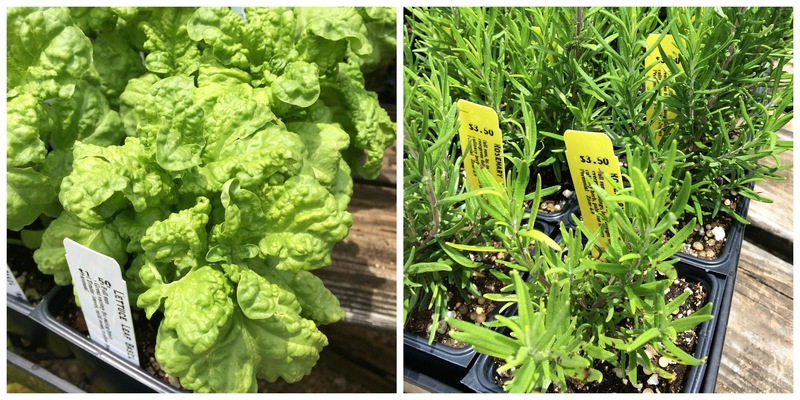 I bought some Lettuce Leaf Basil, Tuscan Blue Rosemary and some fresh picked blueberries. 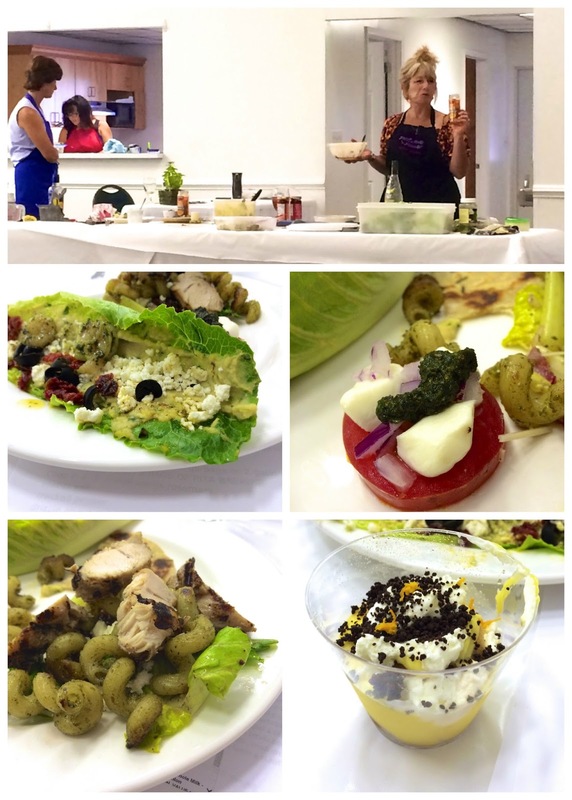 The cooking class was a Mediterranean themed class. The instructor made hummus and fresh pesto. She used the hummus in a shrimp lettuce wrap and the pesto on a caprese salad and chicken pasta dish. The class was a lot a bit unorganized and it took forever! We watched and listened to her for 2 hours before we got anything to eat. She made a tiramisu for dessert, but didn't demo how to make it. Thank goodness. It was served frozen (she said that was normal). It was very different. I'm not sure I would attend another cooking class, but I loved the nursery. 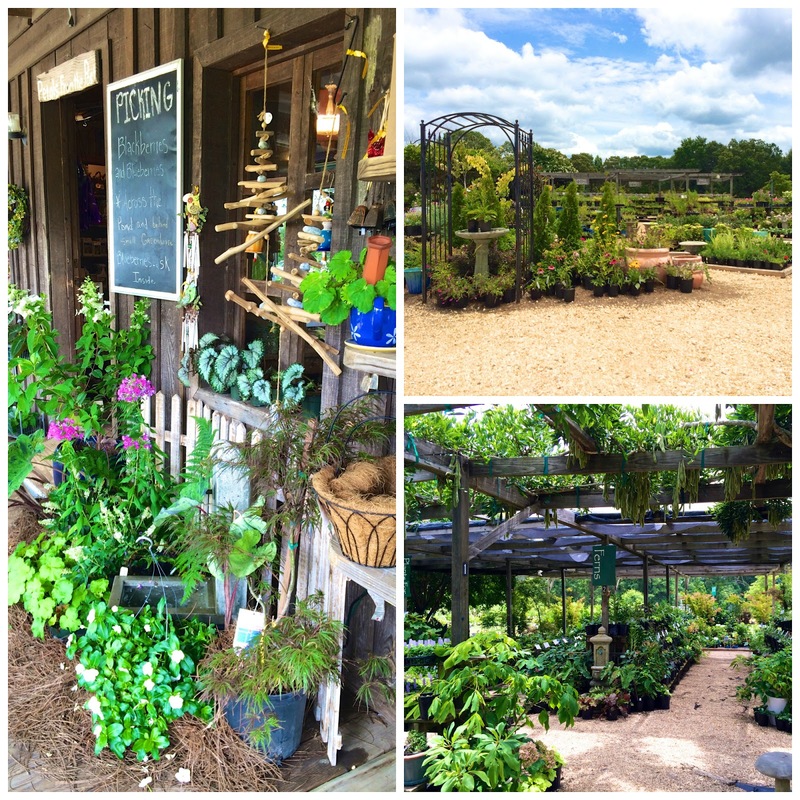 I am definitely planning a trip next spring to stock up on herbs and flowers. 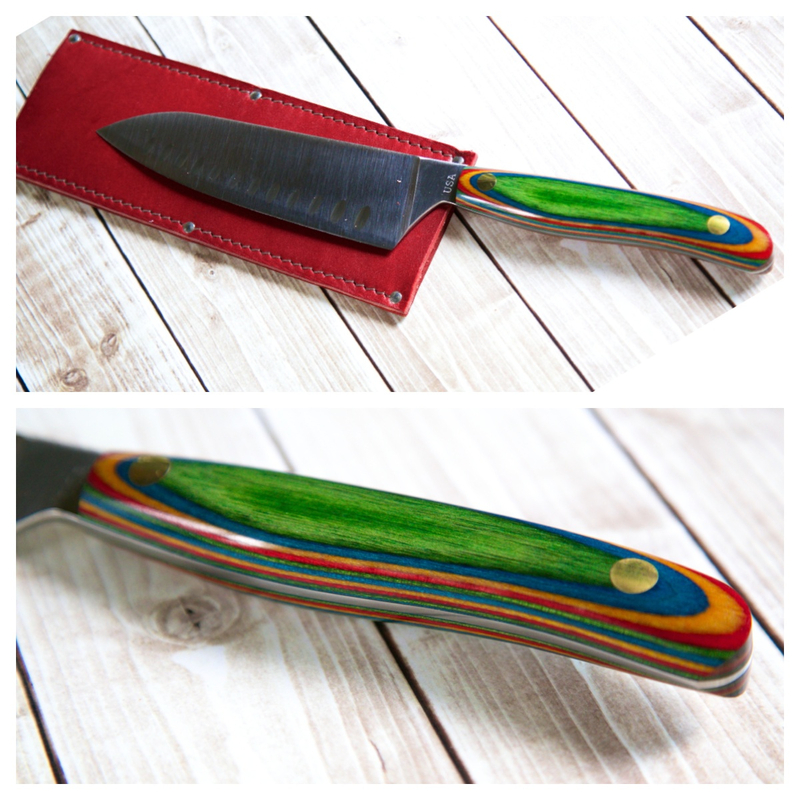 I am in LOVE with my new knife from New West Knifeworks! It is hands down the best knife I own; not to mention the most beautiful knife I own. Look at that handle! I used it last weekend and it cuts like a dream. I am adding a few more of these to my Christmas list. New West Knifeworks is giving away a 7 piece knife block on their website. I am going to be sharing 10 freezer meals in August to help get everyone ready for back to school meals. All the meals are kid friendly! Each meal makes enough for 4-6 people. 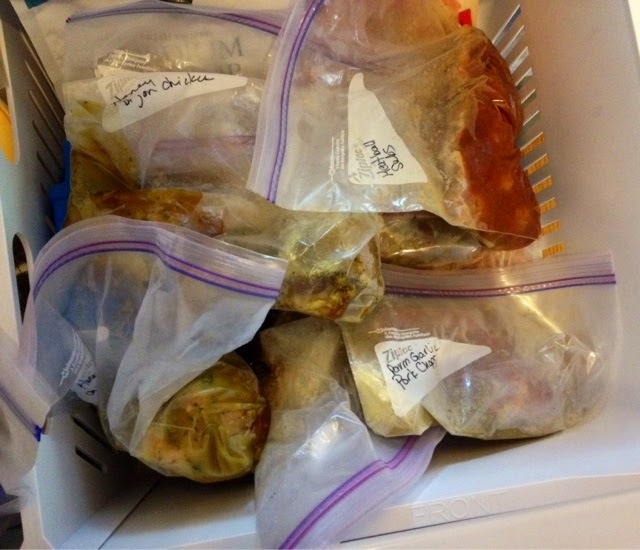 If you have a smaller family, you can definitely split the meal between two freezer bags and have 20 meals! If you enjoy all the freezer meals, I will try and incorporate a few new freezer meals every month. This is my favorite slow cooker. I've had it for a few years, and I love it. It is less than $50 on Amazon. 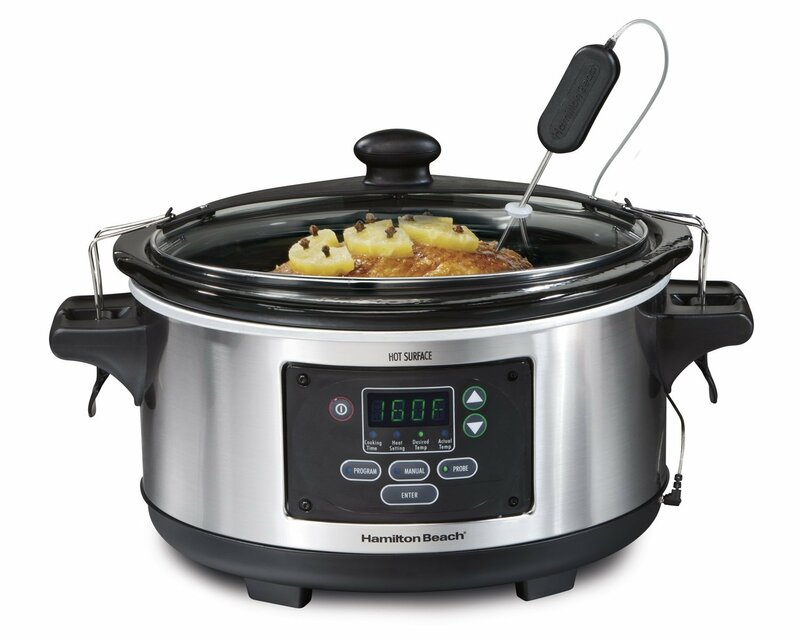 If you need a new slow cooker, I highly recommend this one. You can program the cooking time, and it will automatically switch to WARM when the time is up. I also love the clamp down lid. Keeps all the heat inside. It's August and we are officially less than 30 days away from College Football! Woo Hoo! Check out our Tailgating Pinterest Board and get ready for tons of new tailgating recipes on Plain Chicken every Friday during the season! Thank you so much for the recap, it really helps when trying to remember if I pinned a recipe or not. Have fun on your trips, I can't wait to read your review of your trip to Sweden!! War Eagle!! Can't WAIT to hear all about your trip with Amanda. :-) Miss you, though ... need to plan a #twittersupperclub for when you get back! We are going to Vegas in August as well. Bring on the 115 degree temps! I was actually about to find your post from June of last year recapping the restaurants you ate at.